A good map can tell you a lot. 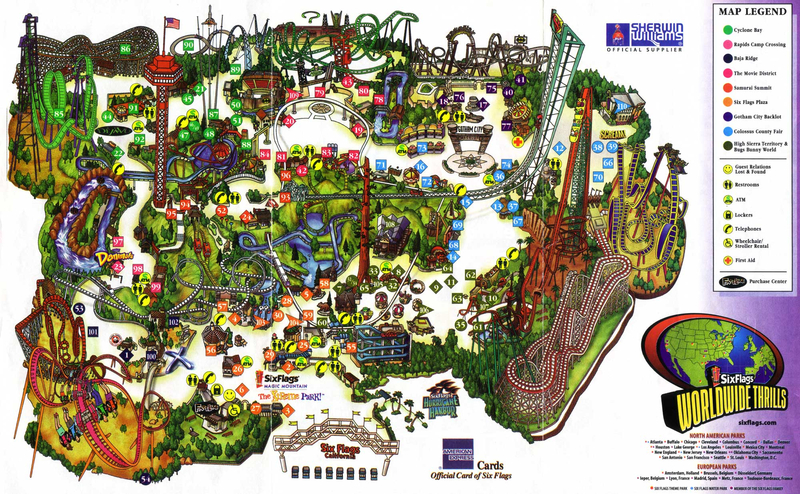 On the map for Six Flags Magic Mountain theme park, the most prominent items are the rides and the attractions. Six Flags Magic Mountain has great rides and attractions—they have every reason to flaunt them. It makes sense that’s what the park designers want you to see. Six Flags Magic Mountain is all about the rides. That’s what you do there. Upon arriving at the park, you head straight to your favorite ride. If you’re lucky and the park isn’t too crowded, the line for rides are short. The idea is to experience the fun and excitement on your chosen ride then quickly dash into the line of another ride. You repeat the processes for numerous rides until you are exhausted, feel sick, or the exhilaration of the rides has worn off. 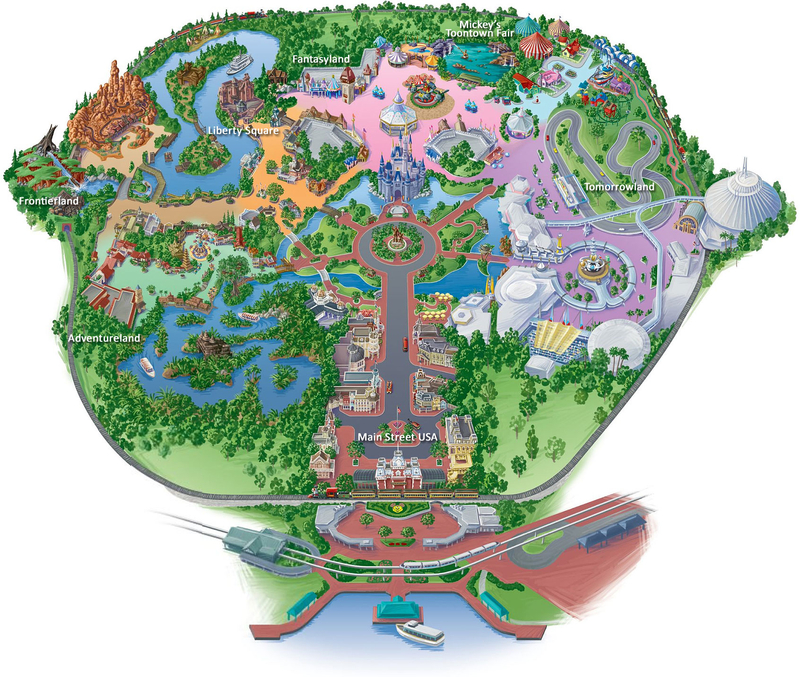 The map of Disneyworld’s Magic Kingdom doesn’t feature any rides. Sure, you can see the structures for Space Mountain and a couple of others, if you already know the park. However, for most visitors, those are just decorative elements on a landscape of adventures. The Magic Kingdom at Disneyworld has as many great rides as Six Flags. Disney doesn’t hide them because they’re ashamed of them. The map represents their point of view. For many, the park doesn’t start with the rides, but with the Character Breakfasts—exclusive little parties hosted by your favorite Disney characters. When we studied folks planning their visit to Disneyworld, many started by scheduling the Character Breakfast. The designers of Six Flags parks created a series of discrete activities. The park guest moves from one activity to the next. In contrast, the Imagineers design entire experiences. Each portion of the park is thought through, created with an iterative process, until guests have the experiences the park designers are seeking. Designing for experiences is about designing what happens between the activities. We’re designing in the gaps, as it were. 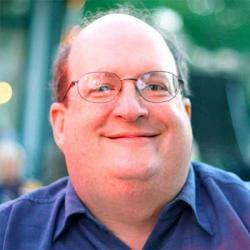 Traditionally, when designing products, services, and web sites, we’ve focused on the discrete activities. What will the user want to do? Make a list. Create screens for each activity. Then we’re done. However, when we’re designing for experiences, we research and design for the time that happens between the discrete activities. We look for opportunities to expand the design space, connecting the activities into a continuous stream. Like many cities, it can be a challenge to hire a taxi in San Francisco. You can walk to a busy intersection (hopefully the weather is nice) then whistle and gyrate until an available cab pulls up. Alternatively, you call one of the city’s many cab companies, hoping they have a driver nearby who wants to pick you up. It’s a frustrating experience that can take 40 minutes or longer. Along comes UberCab. A new service, with a couple of phone applications, that changes the activity of hailing a cab into a delightful experience. Once a traveler signs up for the service and downloads the client phone application, they’re ready to get their next ride. All they have to do is fire up the app. Using the phone’s GPS, the app knows where they are. Pressing a single button sends out a message to nearby drivers (who have their own phone apps), asking who wants the fare. With a single press of the driver’s buttons, the cab is on its way to the traveler’s location. While the traveler is waiting, they can enter their destination, which creates a map for both the traveler and the driver. This helps estimate the fare and ensures a speedy trip without confusion. Now the real experience comes. The GPS of the driver’s phone sends updates to the traveler, letting them know how close they are. If the traveler changes location (to get out of the weather, for example), the driver is immediately notified. There’s even a button on each phone that connects both driver and traveler with a simple call. After the ride is concluded, the traveler pays using the phone, activating the credit card they entered when signing up for the service. They enter the tip and the transaction is done. A receipt is immediately sent to their email. There’s even a way for the driver and traveler to rate each other, to establish their reputations for future rides. The designers at UberCab filled in the gaps with useful and helpful functionality, relieving much of the frustration and adding delight to the experience of taking a taxi. It’s not an inexpensive service—fares are a good deal higher than a regular taxi ride—yet there are customers willing to pay that premium for the better experience. For them, not stressing over the discrete activities of the taxi is worth the extra money. 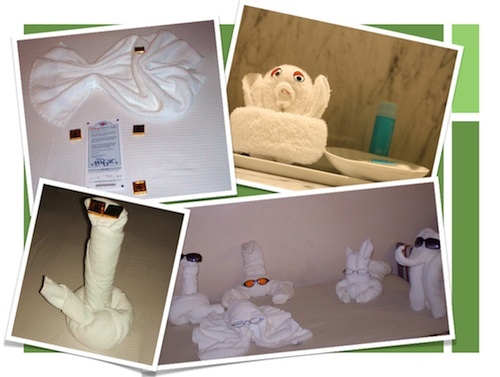 It’s hard to hire a hotel housekeeper who can also make towel origami. Disney has to pay a premium salary for help that can handle the job. Add to all that the time it takes to make the animals. Adding the origami to the workload will reduce the number of rooms each housekeeper can clean. That means Disney has to hire more housekeepers to keep up the hotel. All of that means extra upfront and ongoing costs for Disney. Towel origami isn’t cheap. Someone at a high level in the organization had to decide that all this extra cost was worth it. Great experiences are expensive. They take more research to understand what the users’ current experience is and what a frustration-free, delightful experience could be. Creating a great experience requires connecting parts of the organization that usually don’t talk to each other. It takes dedication to bring teams together to support a great user experience. Disney, UberCab, and many others show us it’s possible to fill in the activity gaps to create great continuous experiences. They’ve made the investment and produced results that delight their customers and generate profitable returns. Is your organization ready to make that investment? Published here on November 30, 2010.